Rates based on 2019 Honda Ridgeline Sport AWD (stock #190368) with 36 month 12,000 mile a year lease at $369.00 a month with approved credit. MSRP of $36,335.000 , a residual of $23,981.10, overage charge of 15 cents a mile. $999 down plus first payment, Tax, Title, DMV, and acquisition Fee. Please see dealer for details. Prior sales excluded. Must take delivery from dealer stock. Valid Through 4-30-19. Rates based on 2019 Honda Civic LX Auto (stock #190350) with 36 month 12,000 mile a year lease at $189.00 a month with approved credit. MSRP of $21,170.00 , a residual of $12,490.30, overage charge of 15 cents a mile. $999 down plus first payment, Tax, Title, DMV, and acquisition Fee. Please see dealer for details. Prior sales excluded. Must take delivery from dealer stock. Valid Through 4-30-19. 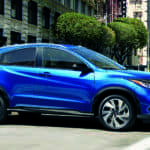 Rates based on 2019 Honda CR-V LX AWD (stock #190291) with 36 month 12,000 mile a year lease at $249.00 a month with approved credit. MSRP of $26,745.00 , a residual of $15,779.55, overage charge of 15 cents a mile. $999 down plus first payment, Tax, Title, DMV, and acquisition Fee. Please see dealer for details. Prior sales excluded. Must take delivery from dealer stock. Valid Through 4-30-19. 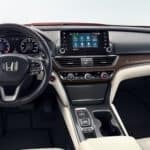 Rates based on 2019 Honda Accord LX 1.5L Auto (stock #190198) with 36 month 12,000 mile a year lease at $239.00 a month with approved credit. MSRP of $24,615.00 , a residual of $14,276.70, overage charge of 15 cents a mile. $999 down plus first payment, Tax, Title, DMV, and acquisition Fee. Please see dealer for details. Prior sales excluded. Must take delivery from dealer stock. Valid Through 4-30-19. Rates based on 2019 Honda Pilot EX-L AWD (stock #190083) with 36 month 12,000 mile a year lease at $379.00 a month with approved credit. MSRP of $40,655.00 , a residual of $24,799.55, overage charge of 15 cents a mile. $999 down plus first payment, Tax, Title, DMV, and acquisition Fee. Please see dealer for details. Prior sales excluded. Must take delivery from dealer stock. Valid Through 4-30-19. 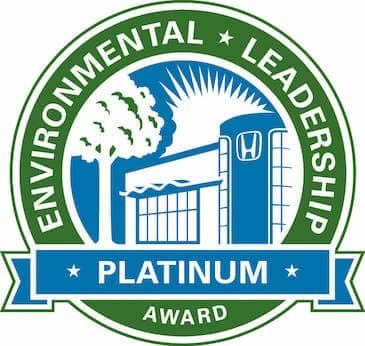 At Rensselaer Honda, we believe in making every aspect of vehicle ownership easier and more convenient. Shopping for, financing, and maintaining your vehicle are all made easier by our helpful online resources and dedicated staff members. Next time you need automotive support, you know who to contact. New Honda models are our specialty, and our inventory reflects that. We’re the perfect place to look for your next new Honda, whether it’s a 2018 Fit or a 2019 Ridgeline. We recommend starting your search online. 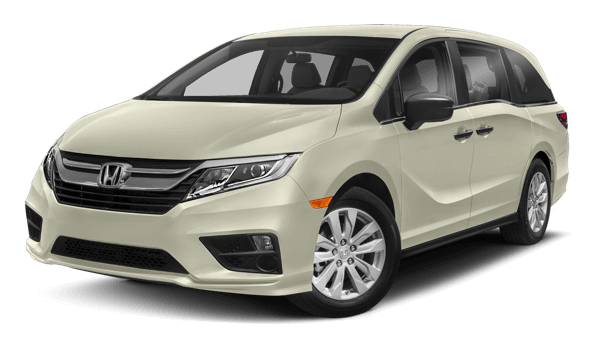 We’ve listed every new Honda vehicle available in our convenient online inventory. That means you can sift through hundreds of available vehicles without leaving the comfort of your home. You can even narrow down the large selection by picking your preferences for model, body style, price, and more. After you pick out a new 2018 Accord or 2018 Odyssey, it’s time to come see it for yourself. You’ll find a low-pressure shopping experience here at our location near Saratoga, so don’t hesitate to stop by for a test drive. If you’re looking for something more affordable, be sure to spend some time browsing our used selection. Pre-owned vehicles of all kinds find their way onto our lot, from rugged trucks to efficient, compact commuters. When you need a quality vehicle that fits your budget, you can turn to us. Auto financing is no small concern for car shoppers near Schenectady. Getting favorable lease and loan terms can mean significant savings down the road. That’s why we offer our financial services here at Rensselaer Honda. With a staff of trained finance professionals, a network of trusted lenders, and a wealth of resources at our disposal, we’re able to help customers find excellent payment plans. You don’t have to wait to get started with auto financing. If you’re eager to take the first step, fill out our online application. It only takes a few minutes to complete on your own and can save you time later in the process. There’s a reason our customers keep coming back — they know that they can count on us to serve them well after the sale with top-notch maintenance and repairs. Our Honda service center takes care of all your routine maintenance needs, from oil changes to brake repairs and everything in between. 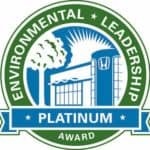 We employ specially trained Honda service technicians who work hard daily to make sure local vehicles run flawlessly. Plus, our team of service advisors are here to help you make smart decisions about long term maintenance. We’ve put in effort to make auto maintenance more convenient, too. Our online scheduling system helps you plan your appointments around dates and times that are easy on your busy schedule. Forget about jumping through hoops to take care of your car — work with Rensselaer Honda instead. Fantastic dealership, I will never go anywhere else so long as I live in the area! They do sales right, ask questions first, listen to what you are looking for, don’t try to push a product that you don’t need, and give you the time to digest and process what you are looking to get. The car sales stereotypes do not apply at Rensselaer Honda, they understand when you take care of the customer, the customer will in turn take care of you. Great dealership to do business with. Honest folks and fair pricing. I have been buying Honda's since 1985. This is the best experience I have had. The service department is top notch. Blake in particular has been very helpful and informative. Never feel like you are being taken for a ride. Here is a great testimony.....I have moved my father-in-law s business to this dealership! Go see Andy James and family. Worth a drive from everywhere! They have serviced my first Honda for 14 years. Now I have a new one. I know with their care is one will last as long with a tune to beat the band. Selecting and climbing into my new HR-V was like putting on a comfortable shoe,. Everyone made the transition very easy and I left the dealership very satisfied. Fastest and easiest airbag replacement to date! This is our fourth car that we have purchased and have serviced at This dealership. We have had nothing but great service both purchchasing and service on our vehicles. Great customer service, clean, professional. Matt and Savahna helped me with my second lease and I would absolutely go back to them. Thanks guys! Everyone was incredibly helpful and friendly. This was by far the best experience I've ever had buying a car! Audrey, Bill, Ellen, and Glen are awesome! Only 11 Miles From Albany, 15 Miles From Clifton Park and 8 Miles From Latham!